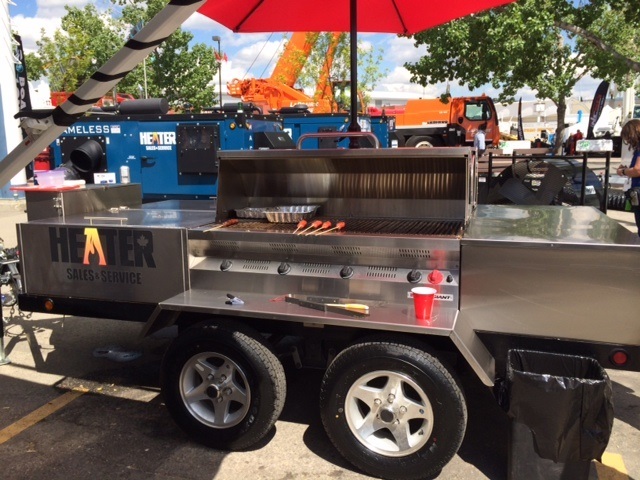 Heater Sales & Service's New Trailer BBQ A Hit! HSS Recently Received there new Custom Silver Giant Barbeque! With 2 grills, 2 giant coolers and plenty of storage this BBQ makes a great outing even better! Recently became a highlite at a few golf tournaments, and social gatherings! Contact Heater Sales & Service to look into getting your own Silver Giant BBQ today! !